Meet Will Rhodes: travel writer, recently married, barely solvent, his idealism rapidly giving way to disillusionment and the worry that he's living the wrong life. Then one night, on assignment for the award-winning Travelers magazine in the wine region of Argentina, a beautiful woman makes him an offer he can't refuse. Soon Will's bad choices - and dark secrets - take him across Europe, from a chateau in Bordeaux to a midnight raid on a Paris mansion. A mass shooting has taken place at a prep school in Stockholm's wealthiest suburb. Maja Norberg is 18 years old and on trial for her involvement in the massacre where her boyfriend and best friend were killed. When the novel opens, Maja has spent nine excruciating months in jail awaiting trial. Now the time has come for her to enter the courtroom. But how did Maja, the good girl next door who was popular and excelled at school, become the most hated teenager in the country? Over the course of one long, desperate, increasingly perilous day, these lives collide as the book begins its dangerous march toward publication, toward saving or ruining careers and companies, placing everything at risk - and everyone in mortal peril. The rich cast of characters - in publishing and film, politics and espionage - are all forced to confront the consequences of their ambitions, the schisms between their ideal selves and the people they actually became. The author's writing style has what I would liken to a verbal tick or twitch - he has a tendency to write in laundry lists. I don't have a specific quote but he tends to go off on list like tangents (this is my own example) "she drove down the street, by the lawns where the kids played, with the lemonade stands and the the sprinklers and the yard men raking grass clippings and the ….. " these lists go on and on. And it happens over and over throughout the book. I think this is lazy writing. Also, these lists all seem have a judgmental tone to them, in fact the whole book seems to be judgmental of having an affluent life style in general. New York is portrayed as soulless, the publishing industry is hopeless, everything is grim and the people greedy, card board cutouts. As for the characters - I did not like anyone in this book. They were either two dimensional or just irritating stereotypes. The book feels like a grown up Nancy Drew or Hardy Boys with an edge. Part of this may be due to the narrator. While she has a nice voice to listen to, I can't quite decide if it is the writing style that made her voice sound pretentious, or her reading style that made the writing sound pretentious. There is a whine in there somewhere. I figured out what was what plot wise very early on. Yet, in spite of all this, I finished. Writing this review a day later, it does feel a little like having eaten a meal of Chinese food, it leaves you kind of empty afterwards. So, if you want a kind of quick, fun-ish, implausible corporate spy sort of story to listen to on your trip to and from your beach house, this might be a good choice. However, I don't think I will choose another book by this author. 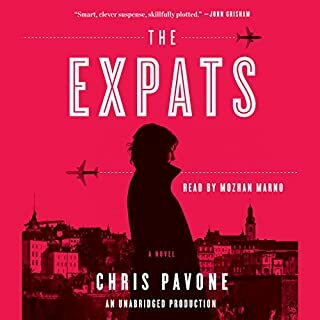 While not quite as fun as "The Expats," I have to say that I can't wait until Chris Pavone's next novel. When "The Accident" starts, you think you know it all -- an anonymous book has been written telling a Big Fat Secret from a media mogul's past life; people will do anything to make sure the book never gets published. OK, you say, how can this story go on for X-number of hours?...Then the plot twists and turns. Connections are made and broken. While I agree with the reviewer who said that the characters were mostly unlikable (and some way too superficial), "The Accident" kept me entertained from beginning to end. 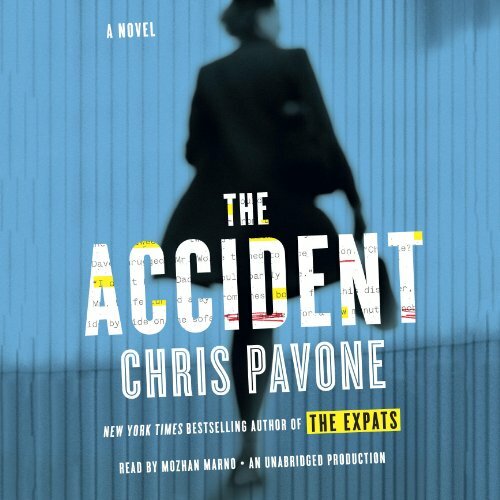 The anonymous book in the novel, "The Accident," is supposed to be a book the reader can't put down...and Chris Pavone's "The Accident" comes close to being that as well. Aren't Literary People Awful? Don't Answer That. 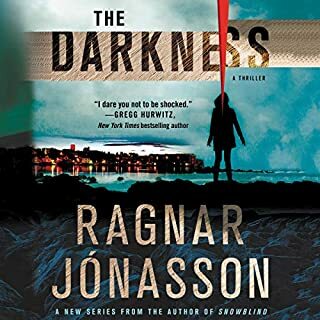 Nominally a thriller about a manuscript that once published will rock the known entertainment/political world, but quickly devolves into a critique of upper middle class consumerism. As standard publishing types are mowed down one by one, it becomes clearer their deaths are more for being ambitious then for any real narrative purpose. Drink to much. Dead. Wear good clothes. Dead. Ageing. Dead. Luckily the cop on the beat is lower middle class so he gets to live. After a while, you realise the manuscript that everyone is chasing is just a second-rate 'MacGuffin' and the real author is just using it score easy points. 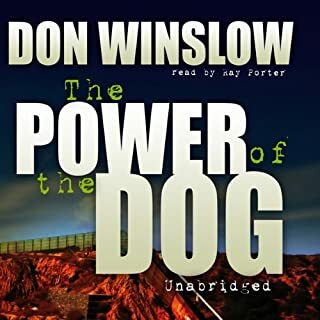 Narrator is good though and keeps things moving and it's an easy book to listen to on a car or bike ride. The ending is so disappointing, I would not recommend it. It's as if the author was not sure if it should have a sequel or not. I enjoyed the first 3/4 of the book so much I was anticipating listening or reading his first book--The Expats. I will pass on that. The pendantic writing style. His endless lists of observances go like this: "she picked up a pen. The pen was bright nickel that she bought from a clerk, in a fashionable boutique, with polished walnut floors, a moslty lesbian staff, all dressed in black...., chilly in disposition" It's so tiresome. I would have preferred reading this,as it's easier to skip through fillers like this as opposed to listening..
She's an excellent readier. Loved her on House of Cards and would listen to anything she's reading. Do you think The Accident needs a follow-up book? Why or why not? No need to resurrect the dead. Isabel is not an interesting-enough character. I don't think anyone benefits from knowing more. The author, I believe, was an editor. He needs to take a hard look at what he writes. 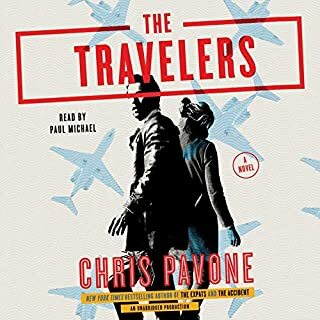 He's extemely talented, and I was extolling this book to everyone I know till the last 2 chapters.I know there are better stories coming from Mr. Pavone. I thought this book had a great story line, a good twist at the end. But overly descriptive. You can only describe a room, a car, a cloud in so many ways. I caught myself skimming over many pages just to keep the story going. That shortened the book to keep me interested. This is the first book from this author I've read so I don't know if others are like this. This book was beautifully read and the story is intriguing. I find the narrative structure to be both wonderful and distracting. There is something about the narrative that makes it both useful and cumbersome at the same time. It both moves the story forward and holds it back at the same time. Over all I think this is a worthwhile listen. This book was very hard to get into. It did not grab me or keep my attention. Not for me. 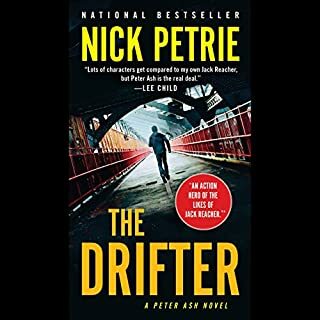 Intricately plotted, a near perfect mystery/thriller and pretty well written within that genre, it is painful to have to interrupt listening. You will NEVER guess the ending. Narration is very good as well. Great listen...it was nice to be surprised!! I listen to more than 200 books a year and, although I enjoy most of them, I am rarely surprised by their endings. What a treat to find a novel that continues to have you unraveling twists until the very last chapter! 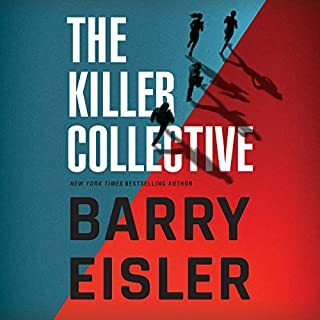 Additionally, they were written so artfully and consistently from start to finish that, once revealed, the info "clicked" into place without leaving the reader feeling like the new information was contrived or inauthentic. Well done!! This book comments on fake news and stories; how this fictional sensationalism generates hugh sums of money and destroys many people in process of its publication.